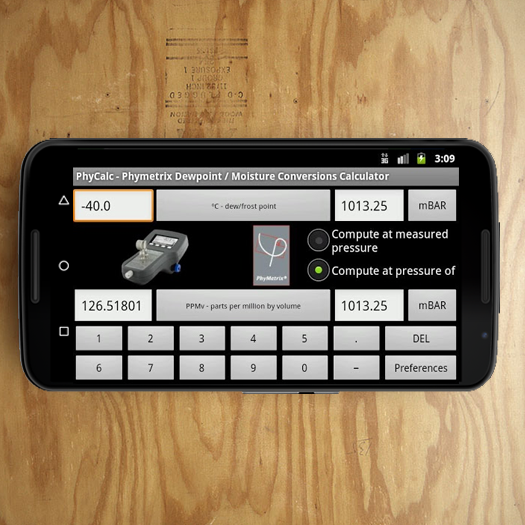 The Phymetrix MS-Windows® Moisture Calculator will allow you to quickly convert between different moisture concentration units as well as easily obtain dew points and partial water vapor pressures at different total pressures. The Dew Point Calculator is pre-programmed with all the pertinent dew point equations from Physical Chemistry and Thermodynamics and the molecular weights of the most commonly used gases. All you have to do is plug in your numbers; science made simple! 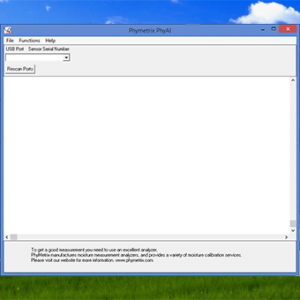 The PhyMetrix Analyzer Interface program PhyAI.exe allows easy interface of the analyzer to a MS-Windows® based PC. The user can manipulate data logged in the analyzer as well as perform live data logging linking to Microsoft Excel®. The user can also modify the location tags for data logging. The user can setup a custom password for unlocking the analyzer. 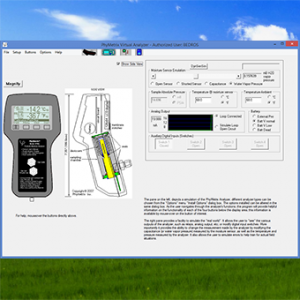 This program communicates to the analyzer via a PC USB port. Instructions and USB drivers are included in this compressed download package. 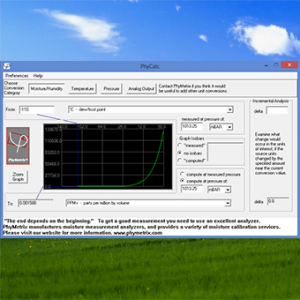 Our Freeware PVA program allows you to interactively experience the PhyMetrix Moisture Analyzer product line on your own Windows® PC, with audio help, and visually accurate simulations. It is also a great training tool. Personnel can become familiar with the analyzers and practice changing the operational parameters without the possibility of accidentally making unwanted modifications. 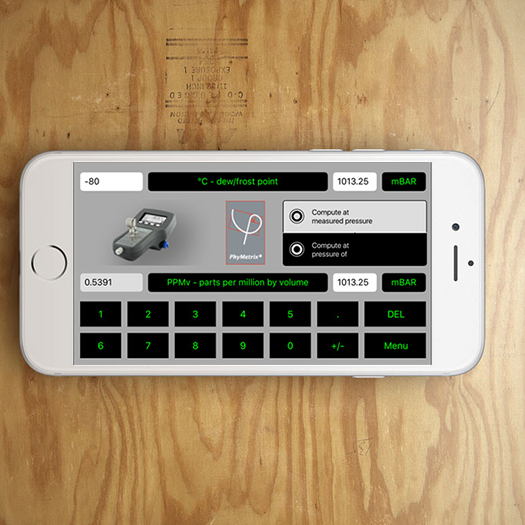 The iPhone version of PhyCalc was recently released! Now both Android OS and Apple OS are PhyCalc supported. Check them out below!